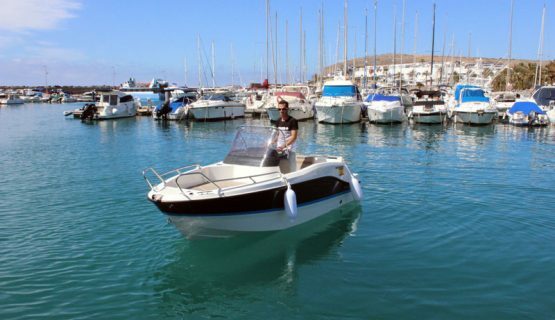 Rent your very own boat without any licence! 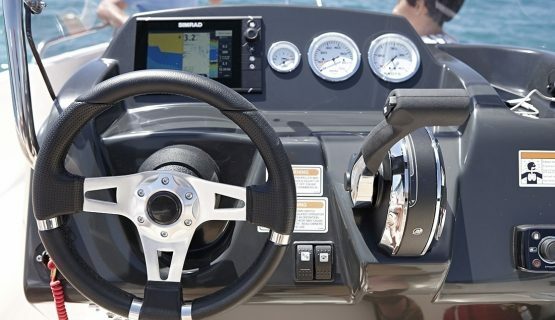 For up to five people be your own Captain! 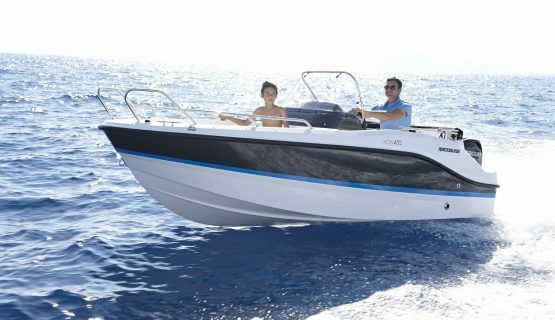 Perfect for family outing, great for a group of friends or a romantic boat rental for two! The inside of the boat is very spacious and can fit a maximum of 5 people. It is comfortable to navigate within the boat and you can also re-arrange the interior cushions for laying down and sunbathing. The Boat Rental is based in Pasito Blanco Marina and has time slots every day between 9AM and 6PM. It is a€7 Taxi ride from Playa del ingles €5 from Maspalomas, €25 from Puerto Rico and €30 from Amadores (approx). No licence is required! The driver needs to be over 18 and ID is required. A security deposit of €200 is either held on your card or taken in cash on the day and returned to you at the end of your rental. You get lots of freedom on the boat. You can go up to 2 miles out to Sea or 2 miles along either direction of the coastline. All safety equipment is provided and you are fully insured. The Boat Rental is perfect for a family trip, romantic couples trip or a group of friends. Maybe visit the popular bathing areas, explore the coastline of Gran Canaria or just simply chill. Book Now for this unique experience! 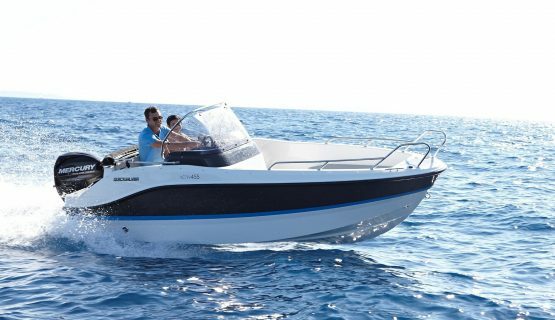 Perfect for people who enjoy the freedom of exploring new places by yourself or with friends or surprise your partner with a romantic picnic at Sea! Click Book Now! Choose your desired day and time slot, and reserve. ( Deposit Reservation of 30% to be paid online).